Qi in English is often spelled as chi. The Japanese form is ki. 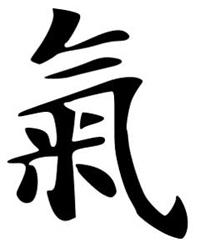 Qi is a fundamental concept of everyday Chinese culture, most often defined as "breath" (for example, the colloquial Mandarin Chinese term for "weather" is tian qi, or the "breath of heaven") and, by extension, "life force" or "spiritual energy" that is part of everything that exists. References to qi or similar philosophical concepts as a type of metaphysical energy that sustains living beings are used in many belief systems, especially in Asia. The nature of qi is highly controversial, and the old controversy among Chinese philosophy as to the nature of qi still exists. Among some TCM practitioners, qi is merely a metaphor for biological processes similar to the Western concept of the soul, and there is no need to invoke new biology, much less new physics, to account for its effects. Others argue that qi involves some new physics or biology. Attempts to directly connect qi with some scientific phenonomena have been attempted since the mid-nineteenth century. 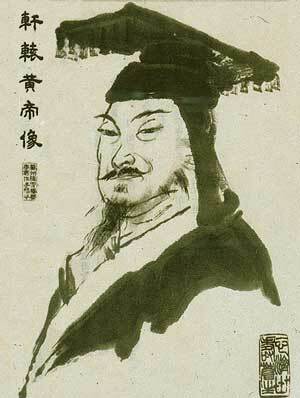 The philosopher Kang Youwei believed that qi was synonymous with the later abandoned concept of lumeniferous ether. In the early 21st century, attempts have been made to link the concept of qi to biophotons or inner biological energy flow. As of yet, science considers these claims of qi as an independent force to be unconvincing. Claims that control of qi allows one to transcend normal physical and biological processes are widely regarded as pseudoscience by the scientific establishment. This Traditional Chinese character qì was also used in Korean hanja. In Japanese kanji, this character was used until 1946, when it was changed to 気. Views of qi as an esoteric force tend to be more prominent in the West, where it has sometimes been associated with New Age spritualism. These views are less prominent in China, where traditional Chinese medicine is often practiced and considered effective, but in which esoteric notions of qi are considered to contradict Marxist notions of dialectic materialism. Modern mainstream science and medicine completely rejects the existence of qi. Some complementary and alternative medicine (CAM) approaches not only assume its existence but believe that the purported subtle energy running through and surrounding the body can be manipulated so as to cultivate increased physical, psychological and spiritual health. Acupuncture along with other practices of traditional Chinese medicine (TCM), homeopathy, ayurveda and many other traditional disciplines worldwide provide examples of similar beliefs. Properly funded, conducted and repeated empirical research is necessary to determine if the success rate of these CAM approaches is due to 1) the existence of subtle energy, 2) the placebo effect, and/or 3) various other factors. The consensus among scientists is that the results claimed by martial arts students and patients of traditional Chinese medicine practitioners, can be explained without invoking esoteric or supernatural processes and usually amount to little more than magic tricks or sleight of hand. In answer, most proponents of the effects of the cultivation of qi maintain that since modern scientific technologies have to this point been unable to create life out of organic chemicals in their laboratories, and that as qi is a metaphor for the energy of life itself, it is to be thereby demonstrated that the mechanisms of how the subject of such a metaphor would work so far elude the abilities of the scientific community to describe. Opponents argue that qi is merely a form of vitalism, a theory that was largely abandoned in the early 19th century. In contrast to the strictly scientific Western approach, individuals harnessing their Qi would explain the Qi cultivation process as a combination of repetitive movements, concentration and breathing. Anyone performing a repetitive movement will, over time, become seemingly effortless in that movement since he or she is starting to subconsciously use a large degree of Qi, the mental effort of muscle control having been automated by the subconscious, thus freeing the mind to visualise the movements of the body. For example, in swinging an axe, muscle control is initially all-important, but once the basic movement is learned the mind will naturally start to concentrate on the back foot, moving swiftly up through the body and down the arm to the axe rather than simply trying to get the body to perform the movement. Qi will go wherever the mind concentrates, and so the axe will start to swing effortlessly. The next step in Qi progression is to deliberately and consciously concentrate on different parts of the body as they move. In the example given above the mind could be focussed on the shoulders at the top of the swing, the elbows at the middle of the swing and the wrists at the bottom of the swing, in order to encourage a flow of Qi down the arm as the axe falls. By reversing the concentration process - starting at the wrists and ending at the shoulders as the axe swings - a completely different effect is produced. Finally, breathing helps to create Qi. By using deep, slow and forceful breaths at the same time as the automated movements and concentration described above the beginner begins to feel their Qi. Movement, concentration on specific parts of the body and breathing are the basis of developmental systems such as T'ai Chi and Aikido. Qi is described as feeling like hot electricity, but practitioners all have their own unique sense of it. By performing various exercises practitioners gradually become more and more aware of the multitude of channels through which Qi flows in the body. This network of channels includes the primary ones commonly used in Acupuncture but also extends down to the capillary level. Qi is said to be sensed at a distance by those with healthy levels of Qi. It is said that Qi can be stored and projected. Those with high levels of high-frequency Qi are said to the able to see the human aura. Because of its potential for misuse, it is said that not all aspects of Qi are disclosed to the idly curious. This content appeared in the archives of wikipedia.com (Nov. 23, 2004 archive). Wikipedia by nature is a work in progress as public editors and topic experts continually correct, update, add, and subtract information. The current version can be found at wikipedia.com/wiki/Qi and demonstrates how dramatic the accumulated changes can be over time. The artwork used in this article appears in the version of wikipedia.com as of November 2014.